Bamboosa for Baby premium onesie short sleeves clothing is soft and snuggly for a little one! 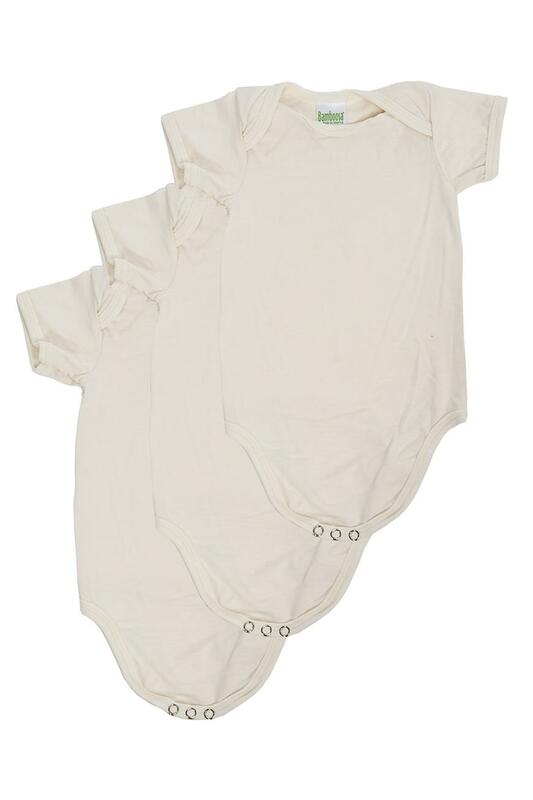 A blend of naturally thermal regulating 70% viscose from organic bamboo & 30% organic cotton. 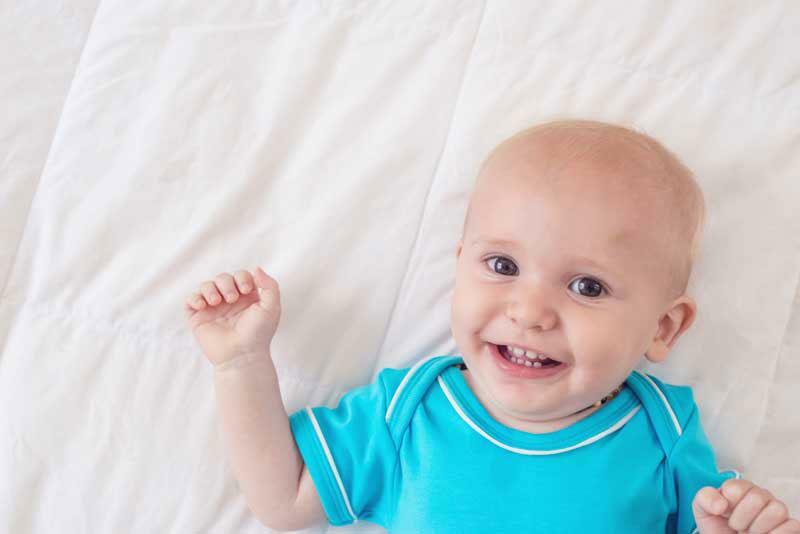 Soft Bamoo and bamboo-blended fabrics feel similar to silk or cashmere, yet they are very durable. Ultra-absorbent, breathable, and fast-drying, bamboo apparel wicks moisture better than cotton. Protective Bamboo fiber contains an agent, "bamboo kun", that provides natural deodorant properties. Test results show that "bamboo fabric exhibits greater than 70% antibacterial efficacy, even after 50 industrial washings." Bamboo appareal is also thermal regulating. It will keep you cooler in the summer, and you can layer it to be warmer in the winter. Natural Bamboo is inherently organic. It is grown without pesticides or chemicals, is 100% biodegradeable, and is naturally regenerative. Bamboo is one of the world's most prolific and fastest growing plants, and is able to reach maturity in about 3 years. Actually a tropical grass with an extensive root system, bamboo sends out an average of four to six new shoots per year, naturally replenishing itself and growing to heights of 90 feet or more. Some bamboo species grow up to 4 feet a day. Bamboo releases 35% more oxygen than equivalent stands of trees. Bamboo has been utilized in food, contruction, art, traditional hand-made paper, and hundreds of other uses for centuries. Now, through new sustainable manufacturing processes, we are able to produce bamboo fiber for use in yarn and fabric. Bamboo is grown on farms that have been in agricultural use for many generations. None of the bamboo comes from tropical forests.